It’s June, and Tournament Poker is on every Poker Players mind! However, we all can find some time during our busy schedules to play a tournament or two online, here and there. The High Five Tournament Series….. 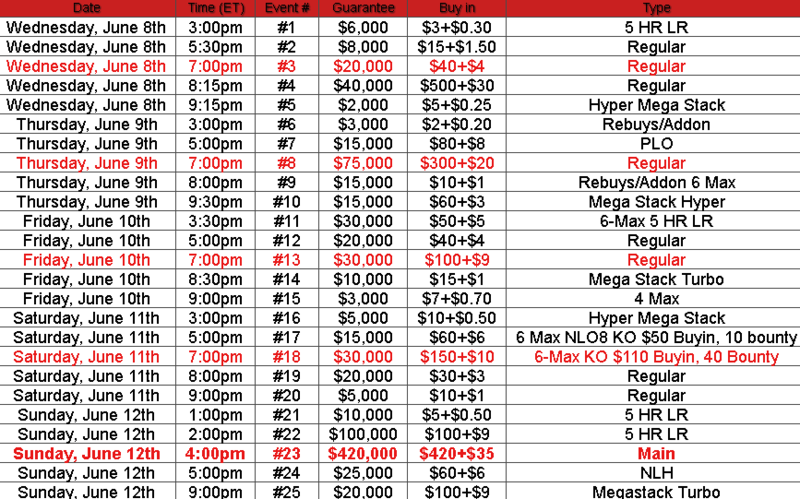 Starting on June 8th and running through June 12th, ACR has scheduled 25 Special Poker Tournaments (in addition to their already stacked tourney schedule) that will satisfy your need to play and show your stuff at the tables…..
What does the High Five Series on ACR offer? Buy-ins starting at $2.20, $3.30 and ranging up to $420. All the most popular tournament formats. A 100% Deposit Bonus, $50 in Free Tournament Dollars, Free Roll entries and 27% Rakeback when you Join Today. 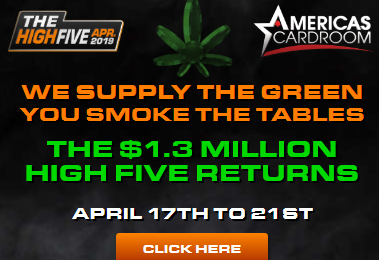 Americas Cardroom will also be having daily satellites to the High Five on their schedule up to and during the series, so you’ll be able to play your way up to the $420K main event if you choose…..
Americas Cardroom will give you $50 in Free Tournament Dollars, New Depositors Free Roll entries, a 100% Deposit Bonus (up to $1000) earned as you play and 27% Rakeback on all Tourney/Cash game fees paid when you visit ACR Today and get started.